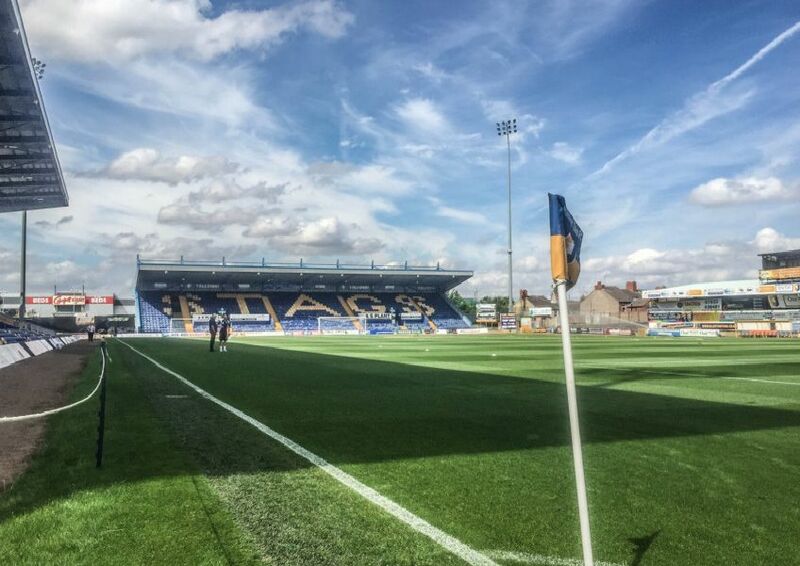 Mansfield Town saw off 10-man Tranmere Rovers 3-0 to stay in the top three places in League Two. Photographer Steve Flynn captured some of the match action. Mansfield Town's Jorge Grant celebrate scoring in the first half. Jorge Grant makes it 1-0. Mansfield Town's Jorge Grant curls a free kick into the Rovers goal to put his side 1-0 up. Tranmere Rovers Steve McNulty pushes Mansfield Town's Tyler Walker to concede a free kick on the edge of his box.